In this post I will talk about using texture bitmaps and subdivision surfaces. 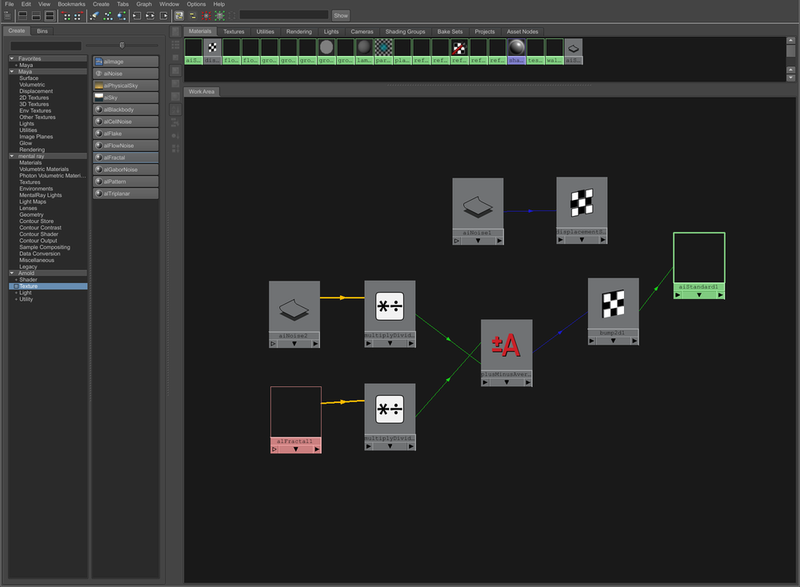 I have a material network with a couple of shaders, one for the body of this character and another one for the rest. If using Arnold I would have a shop network. To bring texture bitmaps I use texture nodes when working with Mantra and image nodes when working with Arnold. The principled shader has tabs with inputs for textures. I rarely use these, I always create nodes to take care of the texturing. At the end of the day I never use only one texture per channel. More of this in future posts. In Mantra, textures are multiplied by the albedo color. Be careful with this. There is a triplanar node that can be used with Arnold and a different one called UV triplanar projection for Mantra. I don’t usually work without UVs, but these nodes can be useful when working with terrains or other large surfaces. To subdivide geometry, at object level you can just go to the Arnold tab and select the type of subdivision and the amount. If you need to subdivide only a few parts of you alembic asset, create an unpack node (transfer attributes and groups) and then a subdivide node. This works with both Mantra and Arnold, although there is a better way of doing this with Arnold. We will talk about it in the future. One of the most common tasks once your colour textures are painted is going to Zbrush or Mudbox to sculpt some heavy details based on what you have painted in your colour textures. We all use UDIMs of course, but importing UDIMs in Zbrush is not that easy. Let's see how this works. Export all your colour UDIMs out of Mari. Import your 3D asset in Zbrush and go to Polygroups -> UV Groups. This will create a polygroups based on UDIMs. With ctrl+shift you can isolate UDIMs. Now you have to import the texture that corresponds to the isolated UDIM. Go to Texture -> Import. Do not forget to flip it vertically. Go to Texture Map and activate the texture. At this point you are only viewing the texture, not applying it. Go to Polypaint, enable Colorize and click on Polypaint from texture. This will apply the texture to the mesh. As it's based on polypaint, the resolution of the texture will be based on the resolution of the mesh. 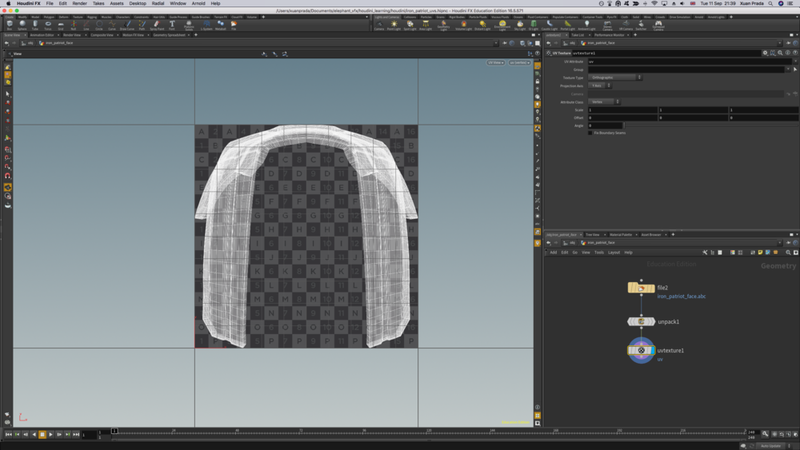 If it doesn't look right, just go and subdivide the mesh. Repeat the same process for all the UDIMs and you'll be ready to start sculpting. Yes, I know that Mari 3.x supports OpenSubdiv, but I've had some bad experiences already where Mari creates artefacts on the meshes. So for now, I will be using the traditional way of exporting subdivided meshes from Maya to Mari. These are the settings that I usually use to avoid distortions, stretching and other common issues. We all have to work with displacement maps painted in both Zbrush and Mari. Sometimes we use 32 bits floating point maps, sometimes 16 bits maps, etc. Combining different displacement depths and scales is a common task for a look-dev artist working in the film industry. 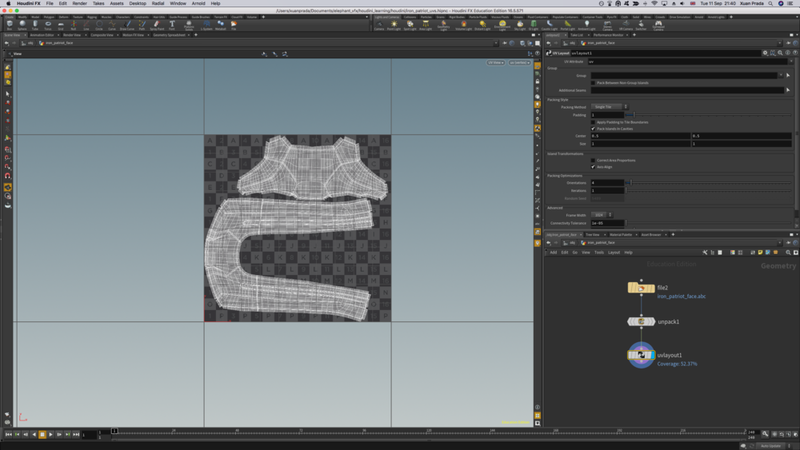 Let's see how to setup different displacement maps exported from Zbrush and Mari in Isotropix Clarisse. 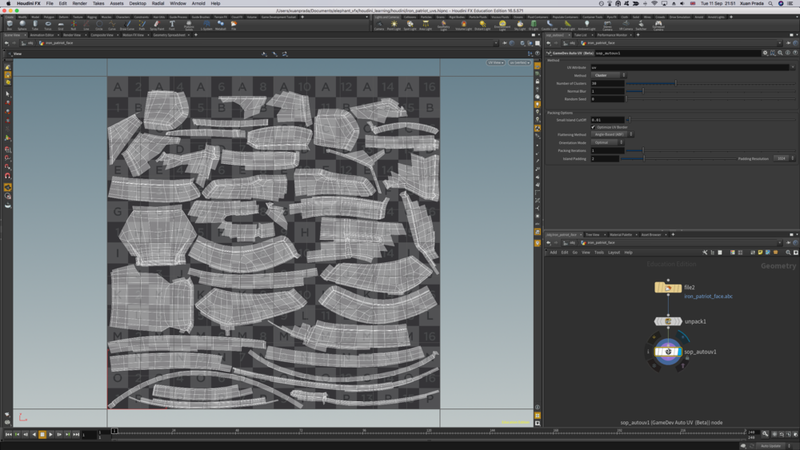 First of all, have a look at all the individual displacement maps to be used. The first one has been sculpted in Zbrush and exported as .exr 32 bits displacement map. The non-displacement value is zero. The second one has been painted in Mari and exported also as .exr 32 bits displacement map. Technically this map is exactly the same as the Zbrush one, the only difference here is the scale. The third displacement map in this exercise also comes from Mari, but in this case it's a .tif 16 bits displacement map, which means that the mid-point will be 0,5 instead of zero. We need to combine all of them in Clarisse and get the expected result. Start creating a displacement node and assigning it to the mesh. We consider the Zbrush displacement as our main displacement layer. That said, the displacement node has to be setup like the image below. The offset or non-displacement value has to be zero, and the front value 1. This will give us exactly the same look that we have in Zbrush. In the material editor I'm connecting a multiply node after every single displacement layer. The input 2 is 1.1.1 by default. Increasing or reducing this value will control the strength of each displacement layer. It is not necessary to control the intensity of the Zbrush layer unless you want to do it. But it is necessary to reduce the intensity of the Mari displacement layers as they are way off compared with the Zbrush intensity. I also added an add node right after the 16 bits Mari displacement subtracting the value -0.5 in order to remap the value at the same level than the other 32 bits maps with non-displacement value of zero. Finally I used add nodes to mix all the displacement layers. It is a good idea to setup all the layers individually to find the right look. Export your scene from Maya with the geometry and camera animation. Import the geometry and camera in Nuke. Import the footage that you want to project and connect it to a Project 3D node. Connect the cam input of the Project 3D node to the previously imported camera. Connect the img input of the ReadGeo node to the Project 3D node. Look through the camera and you will see the image projected on to the geometry through the camera. Paint or tweak whatever you need. Use a UVProject node and connect the axis/cam input to the camera and the secondary input to the ReadGeo. Projection option of the UVProjection should be set as off. Use a ScanlineRender node and connect it’s obj/scene input to the UVProject. Set the projection mode to UV. If you swap from the 3D view to the 2D view you will see your paint work projected on to the geometry uvs. Finally use a write node to output your DMP work. Render in Maya as expected. What if you are working with Ptex but need to do some kind of Zbrush displacement work? How can you render that? As you probably now, Zbrush doesn't support Ptex. I'm not a super fan of Ptex (but I will be soon) but sometimes I do not have time or simply I don't want to make proper UV mapping. Then, if Zbrush doesn't export Ptex and my assets don't have any sort of UV coordinates, can't I use Ptex at all for my displacement information? Yes, you can use Ptex. Base geometry render. No displacement. In this image below, I have a detailed 3D scan which has been processed in Meshlab to reduce the crazy amount of polygons. 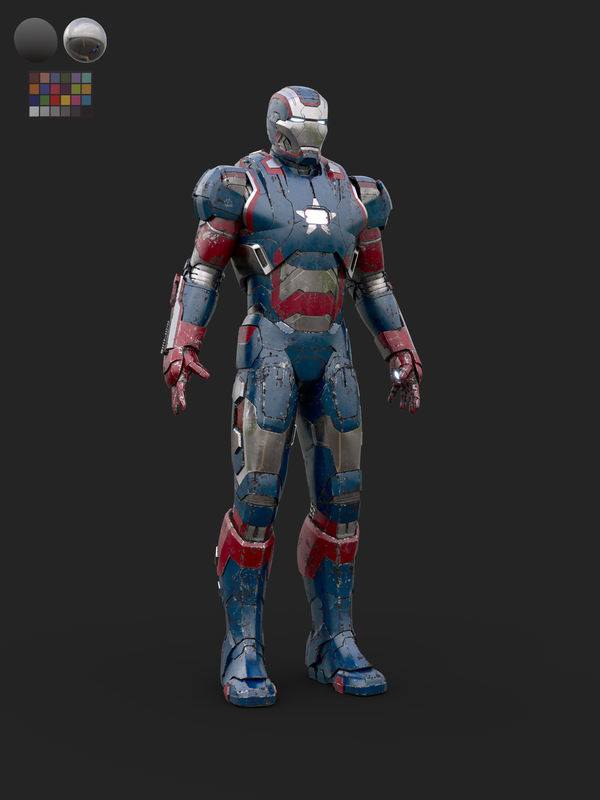 Now I have imported the model via obj in Zbrush. Only 500.000 polys but it looks great though. We are going to be using Zbrush to create a very quick retopology for this demo. We could use Maya or Modo to create a production ready model. Using the Zremesher tool which is great for some type of retopology tasks, we get this low res model. Good enough for our purpose here. 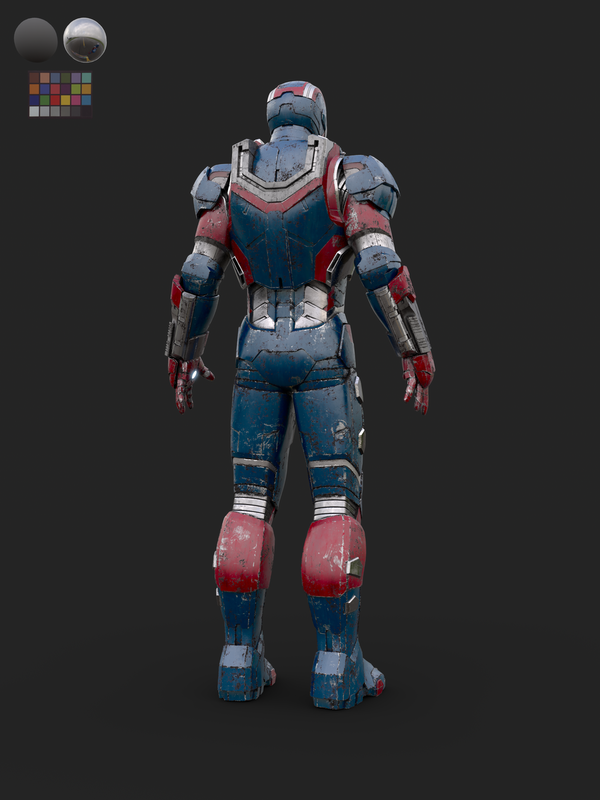 We are going to use these models in Mudbox to create our Ptex based displacement. Yes, Mudbox does support Ptex. Once imported keep both of them visible. Export displacement maps. Have a look in the image below at the options you need to tweak. To setup your displacement setup in Maya and Vray just follow the 32 bits displacement rule. And that's it. You should be able to render your Zbrush details using Ptex now. It seems to be quite a normal topic these days. Mari and Zbrush are commonly used by texture artists. Combining displacement maps in look-dev is a must. I'll be using Maya and Arnold for this demo but any 3D software and renderer is welcome to use the same workflow. Using Zbrush displacements is no brainer. Just export them as 32 bit .exr and that's it. Set your render subdivisions in Arnold and leave the default settings for displacement. Zero value is always 0 and height should be 1 to match your Zbrush sculpt. These are the maps that I'm using. First the Zbrush map and below the Mari map. No displacement at all in this render. This is just the base geometry. In this render I'm only using the Zbrush displacement. In order to combine Zbrush displacement maps and Mari displacement maps you need to normalise the ranges. If you use the same range your Mari displacement would be huge compared with the Zbrush one. Using a multiply node is so easy to control the strength of the Mari displacement. Connect the map to the input1 and play with the values in the input2. 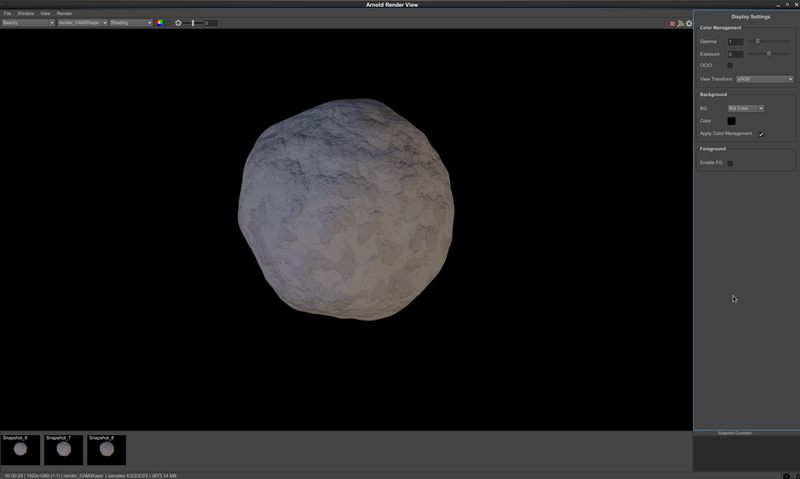 To mix both displacement maps you can use an average node. Connect the Zbrush map to the input0 and the Mari map (multiply node) to the input1. The average node can't be connected straight o the displacement node. Use ramp node with the average node connected to it's color and then connect the ramp to the displacement default input. In this render I'm combining both, Zbrush map and Mari map. In this other example I'm about to combine two displacements using a mask. I'll be using a Zbrush displacement as general displacement, and then I'm going to use a mask painted in Mari to reveal another displacement painted in Mari as well. As mask I'm going to use the same symbol that I used before as displacement 2. And as new displacement I'm going to use a procedural map painted in Mari. The first thing to do is exactly the same operation that we did before. Control the strength of the Mari's displacement using a multiply node. Then use another multiply node with the Mari's map (multiply) connected to it's input1 and the mask connected to it's input2. This will reveal the Mari's displacement only in the white areas of the mask. And the rest is exactly the same as we did before. Connect the Zbrush displacement to the input0 of the average node and the Mari's displacement (multiply) to the input1 of the average node. Then the average node to the ramp's color and the ramp to the displacement default input. This is the final render. When subdividing models in Clarisse for rendering displacement maps, the software subdivides both geometry and UVs. 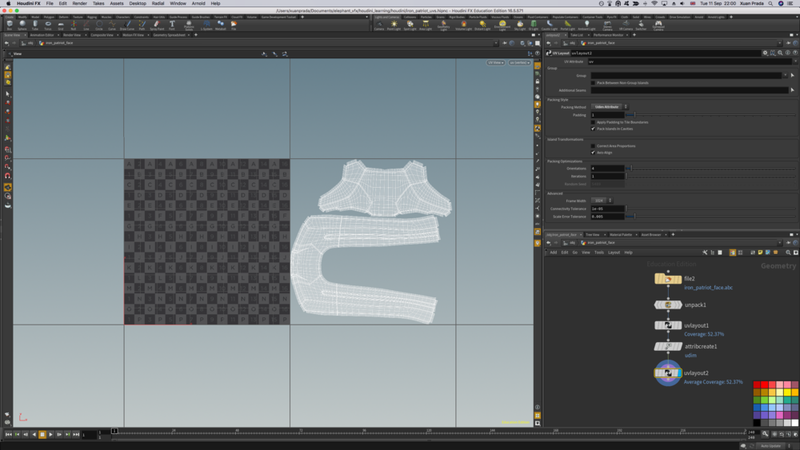 Sometimes we might need to subdivide only the mesh but keeping the UVs as they are originally. This depends on production requirements and obviously on how the displacement maps were extracted from Zbrush or any other sculpting package. If you don't need to subdivide the UVs first of all you should extract the displacement map with the option SmoothUV turned off. Then in Clarisse, select the option UV Interpolation Linear. By default Clarisse sets the UVs to Smooth. You can easily change it to Linear.